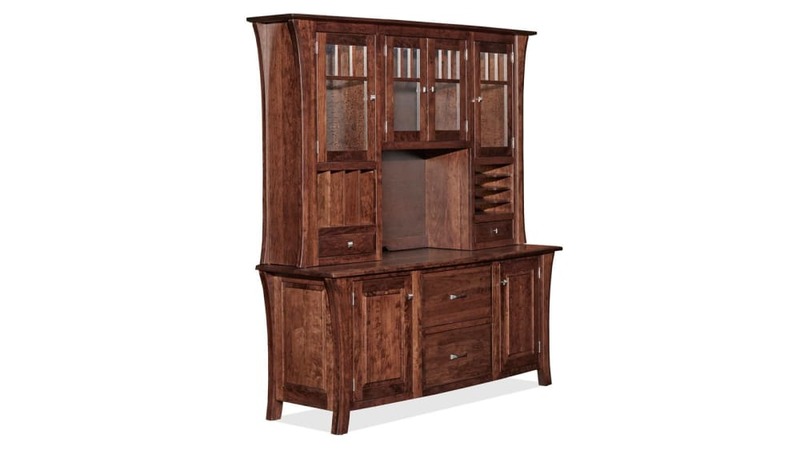 Expertly created from sustainably-sourced, solid black cherry wood. A rich brown Asbury stain provides a sophisticated look. 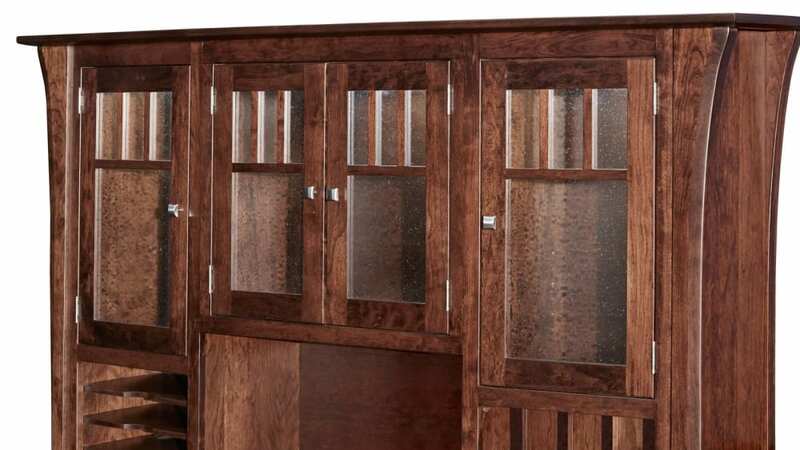 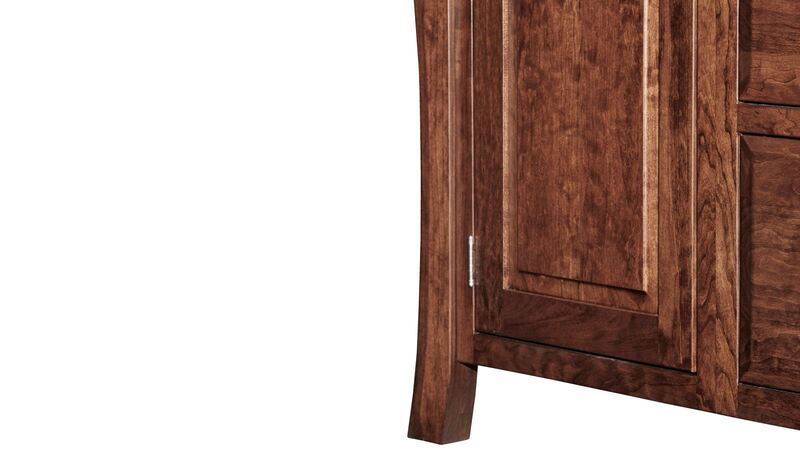 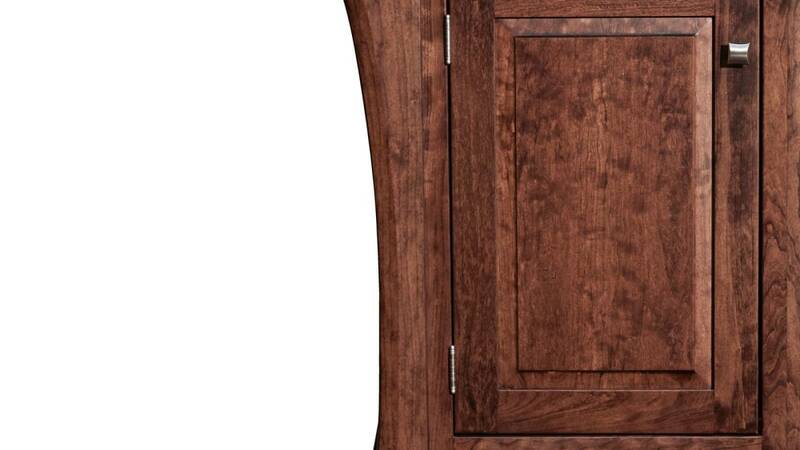 The catalyzed finish protects the wood and ensures lasting beauty. 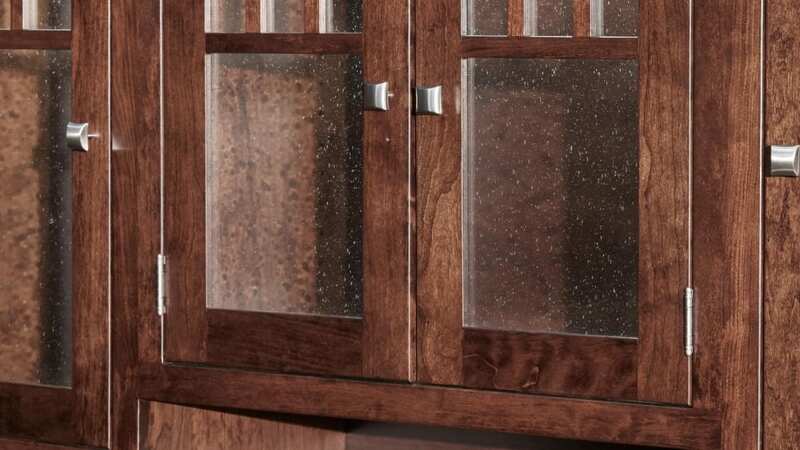 Leaded glass makes for an incredible aesthetic. 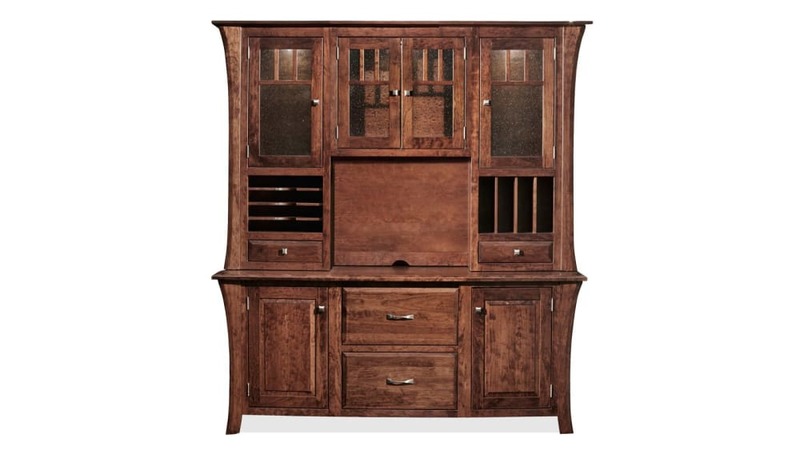 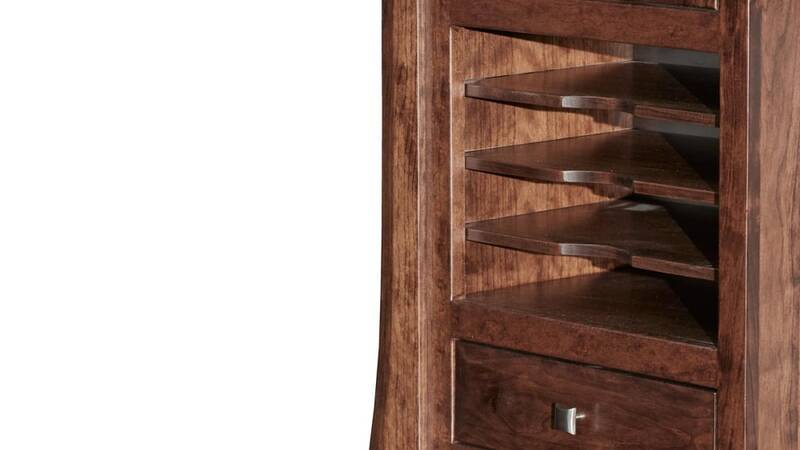 Additional convenience comes from adjustable shelves in the upper and lower cabinets.